2HD Lashes® is a new generation of Eyelash Extensions line for professional use. Materials are of the highest quality, comply with all safety requirements, do not cause allergic reactions. 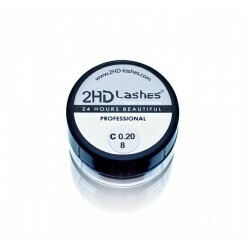 2HD Lashes® is a quality guaranteeing brand! 2HD Lashes® Eyelash Extensions line is made for professional master living in the 21st century rhythm and tendencies. Interested in innovation and looking for the highest quality products and seeking maximum long term results. 2HD Lashes ® Professional Master respects the client and cares about his own reputation. 2HD Lashes® line products use expensive materials to offer only the maximum quality. All products will satisfy even the most demanding client. Our goal is to become a world-class brand, which guarantees the highest quality and competence, constantly improving - in order to meet the needs of the most demanding customer. We will seek to develop and deliver our promises by continually educating and nurturing masters - professionals around the world. 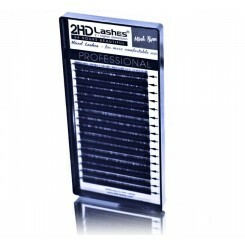 2HD Lashes® Eyelash Extensions line is made for professional master living in the 21st century rhythm and tendencies. Interested in innovation and looking for the highest quality products and seeking maximum long term results. 2HD Lashes® Professional Master respects the client and cares about his own reputation. Our goal is to become a world-class brand, which guarantees the highest quality and competence, constantly improving - in order meet the needs of the most demanding customer. We will seek to develop and deliver our promises by continually educating and nurturing masters - professionals around the world. 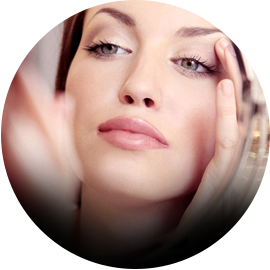 Our mission is to change the approach to the concept of Beauty. Sometimes a little less…means much more. Eyelash Extensions is not only beautiful, but also extremely comfortable! After professional Eyelash Extensions procedure eyes instantly become beautiful, playful and eloquent. The beauty benchmark Cleopatra, who lived thousands of years ago in the palace, surrounded by plenty of servants, today is only the legend. The 21st century woman is the energy charge: every day working on creating a business and in the evening being a wonderful mother and wife, who still looks to the beauty and aesthetics like an integral part of everyday life. However, how to do everything in time? 2HD Lashes® mission - to be beautiful today and make it simple. 24 HOURS BEAUTIFUL! World class stars such as Naomi Campbell, Nicole Kidman, Eva Longoria, Kim Kardashian and others, cannot live anymore without extensions eyelash treatments! It is painless, but very effective! However every woman is unique and in some way distinguished, so you do not need to be a world-class star to enjoy eyelash extensions effect every day! Be charming, self-confident - and the world will shine in different colors. No more worrying about untimely leaking mascara or eye itching! We have noticed that after the very first visit to the eyelash extension specialist, woman walks all day uplifted, without passing through the mirror calmly... sometimes a little bit - means so much! After trying out eyelash extension procedure, women always come back again and again... we are constantly hearing the words, "I could not live without eyelash extensions". We believe that in the current modern world more doors will be opened for a beautiful and aesthetically pleasing looking person! 2HD Lashes® -"Soft & light" type. Individual separate lashes. "Soft & light" lashes - identical to human hair. A very unique effect is achieved thanks to the 2HD Lashes® lashes being made using 2HD Lashes® company's patented technology. The lashes are extremely stable, elastic, never lose curve even at high temperature conditions, lashes endings do not split. "Soft & light" lashes are extremely light and do not aggravate the eyes. Lashes are made of polyester fiber, a very new microfibers technology which does not cause any allergic reactions (especially important for the sensitive eyes owners) and the effect of extended eyelashes is unique. Characterized by exceptionally intensive color, that creates density effect. CURVE - J; B; C; D.
2HD Lashes® is the new generation of eyelash extension line for exclusively professional user who wants only the best quality, seeking maximum and lasting results. 2HD Lashes® Mink MIX Palette - all needed lenghts in one box! Particulary comfortable by working with rarely used thick sizes. Moisturizing, sensitive eye skin nourishing Gel patches with Vitamin E.
During the procedure, the soft skin around the eyes is enriched with moisture, Vitamin E nourishes the skin. New consistency gel with added vitamins – does not spill into the inside of the eye! New – even more convenient form! 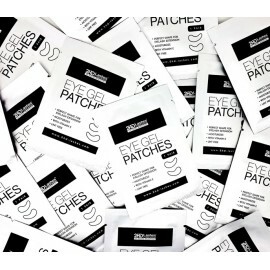 1 pack includes 1 pair of patches.